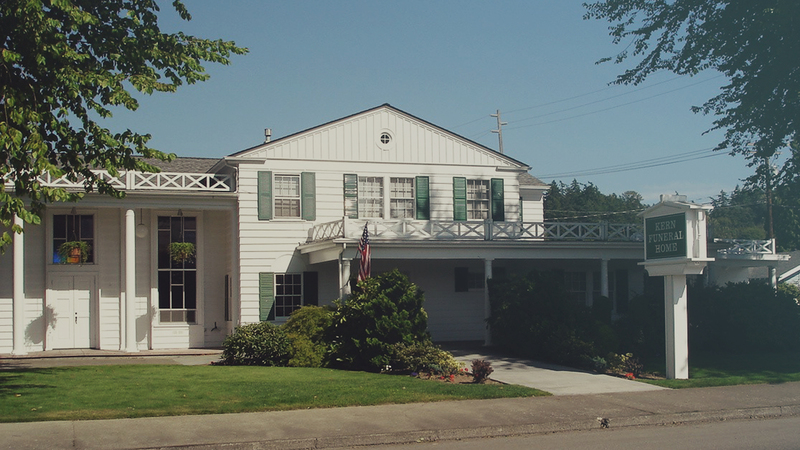 Kern Funeral Home is family owned and operated and has been serving Mount Vernon, La Conner and greater Skagit County since 1913. Three generations and a knowledgeable staff are on site to provide guidance and planning for your loved ones in a caring and professional setting. Our mission at Kern Funeral Home is to be a trusted resource within the community that you can depend on in the most difficult times of need. To view a current obituary pick on the link to the left to search by first or last name. Office hours Monday through Friday 9:00 AM to 5:00 PM Saturday by Appointment. Our funeral home offers a warm, comfortable, family-oriented environment with traditional architecture and tasteful interior decor. Our facilities accommodate all types of funerals and memorials large and small, public or private. Kern Funeral Home also owns and operates Mount Vernon Cemetery. We're dedicated to providing personalized, professional and compassionate services to help and support you through the difficult times that follow the loss of a loved one. We're honored to assist you in your time of need and would like to assure you that we'll do everything in our power to make your experience a meaningful and memorable one.